At Astris you will find our Head Office, here we also have our very own petrol station (incl. LPG gas) called ‘Thassos Oil’, which you can find on the main coastal road. Collection of your vehicle couldn’t be easier allowing you to journey on without any issues. Our opening hours are 08:00 am to 22:00 pm, 7 days a week. Any times after this are subject to a 15 Euro charge and you must have a pre booking in order to collect your vehicle. Should an emergency arise, we offer 24/7 assistance , you can reach us using this number: 0030 698 301 48 99. We strive to make the collection and drop off of your car as simple as possible, whether you are collecting from our office or hotel, you can be guaranteed of a punctual and personalised service. Your immaculate and fully serviced car will be ready for you when you arrive and returning your car couldn't be an easier process either, we will even return your car to your hotel. When picking up your vehicle, please have your documents, driving license and passport or ID with you. We can also provide child or booster seats if needed, but you will need to advise us of this at the time of your booking. We advise our customers to pre book their car at least 2 to 4 days before your arrival, this especially applies during the high season of July and August, due to high demand and possible unavailability of vehicles. When collecting your hire car, why not explore the surrounding area, heading south west and just a couple of kilometres away is the gorgeous beach of Psili Ammos, translated as ‘the bay of fine sand’ it is a very popular destination and gets very busy during high season. Car parking can be found just off the main road across from the beach. The next place on your journey is Potos which is a vibrant, busy little resort with a cosmopolitan feel and a large selection of shops, tavernas and restaurants. There is an ATM on the main coastal road opposite the point at which the road turns into the resort. 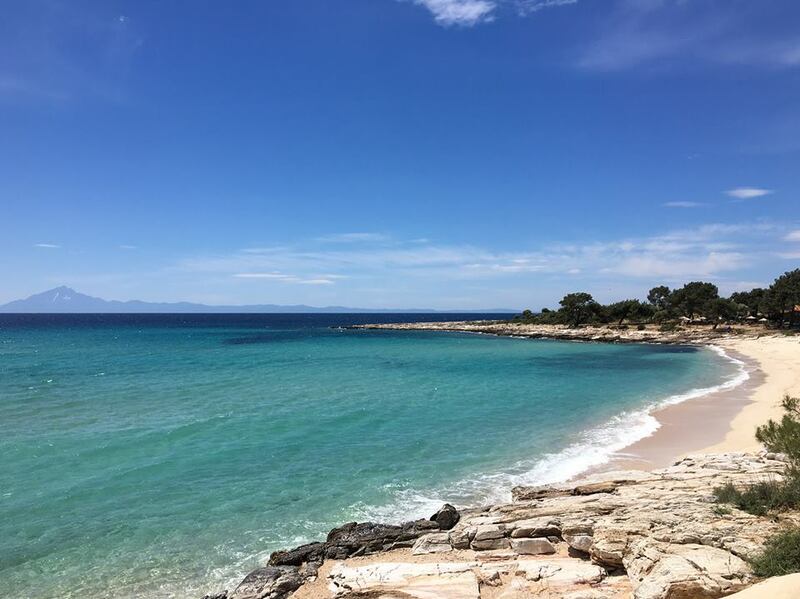 As you drive on, the next beach resort is Pefkari, which boasts various restaurants, tavernas and beach bars adjacent to a lovely sandy and pebbly beach. A few kilometres down the road lies the picturesque Metalia beach, with its clear blue sea, beach bars and idyllic shoreline. Just round the headland is Limenaria, the second largest town on Thassos. It contains a stunning harbour and promenade with a large selection of restaurants, coffee shops and beaches. Heading inland from Potos you 'll discover the mountain village of Theologos, here you can explore churches, restaurants and tavernas all dotted amongst rustic houses made of stone. Heading south east on the main coastal road and a short distance out of Astris is Giola, which is a natural rock pool and a very popular destination. First you have to traverse a dirt road which leads to a small beach. The dirt road which goes down to the left is only accessible by an all terrain vehicle. There are plenty of signs and markings showing the way to the pool once you reach the top, but the journey by foot to the pool should not be taken lightly especially in high season. Further south east and approximately 9 km from Potos you will arrive at the Monastery of Archangelos, it’s the largest monastery on the island and built on a rock overlooking the sea. It offers wonderful rugged coastal views. Next stop is picturesque Aliki with its pretty bay lined with restaurants and tavernas and archaeological ruins, parking here is premium due to its popularity.